Lácteos Caprinos completed its participation in the Summer Fancy Food Show, the largest specialty food and beverage Show in the States. Our booth, situated in the Spanish pavilion, had a great number of visitors. 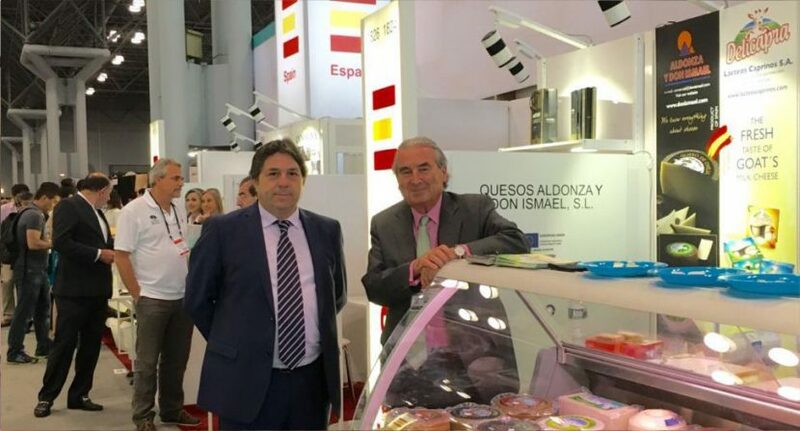 Our cheeses and those of our collaborating enterprise, Quesos Aldonza y Don Ismael, caught the attention of the public. “Delicious” was the word most frequently used to describe our cheeses. We hope that this festival has made the quality of our cheeses known internationally, including in the important market of the USA. The cheeses from Lácteos Caprinos were also in Alimentaria 2016.